KIEV ARBITRATION DAYS 2013: Think Big! “KIЕV ARBITRATION DAYS 2013” : Think Big! 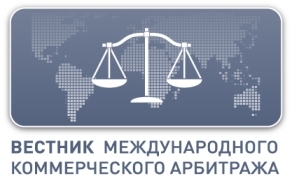 Ukrainian Bar Association has the pleasure to invites you to participate in the third international conference “KIEV ARBITRATION DAYS 2013: Think Big!” which will be held 14-15 November 2013 in Kiev. For two days, leading experts from around the world will discuss the most topical and complicated issues in international arbitration, the area closely related to international business and cross-border transactions. The outcomes of the last year have again proved that this event is extremely relevant and up-to-date. Thus, the conference provides a perfect opportunity for the leading international experts to meet with European and Ukrainian colleagues and discover Ukraine as a relatively new and promising jurisdiction. The conference will attract plenty of leading professionals in commercial arbitration and dispute resolution from Ukraine, CIS and Europe, arbitrators, state officials and lawyers practicing in commercial arbitration. Lis pendens: who defers to whom? The Expert in International Arbitration: Role on the Chessboard? Complex disputes. Who decides: the expert or the arbitrator? Expert in law: duty or loyalty? Examination of the expert: to get the truth or to get it right? An award set aside in the seat of arbitration: are the bridges burned? Revising the price or the price clause? Hardship Clauses: any added value? How do taxation treaties work?